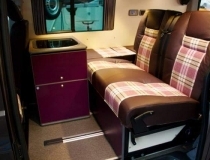 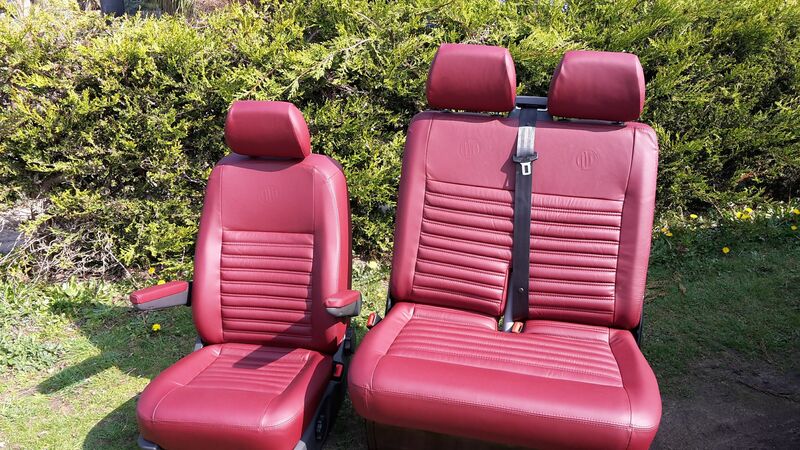 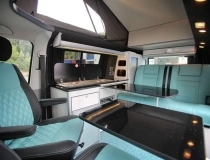 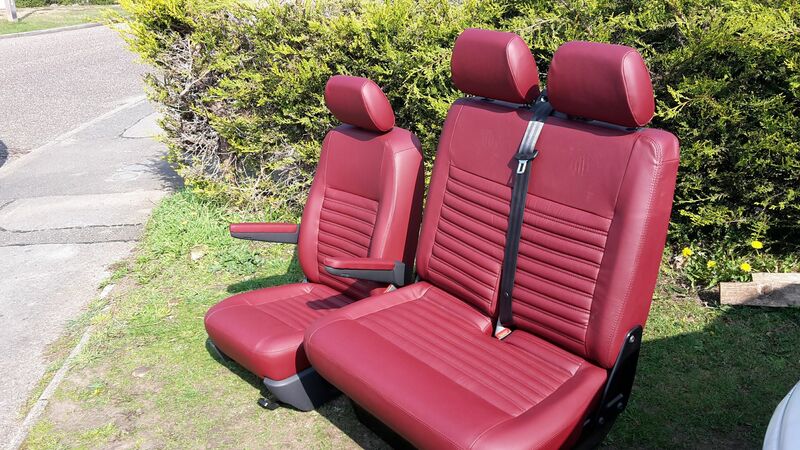 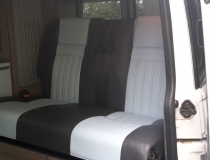 Here is a lovely example of a set of T5 front seats, in red leather. 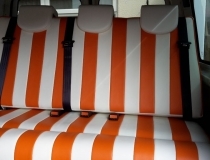 This work was carried for Uber Bus. 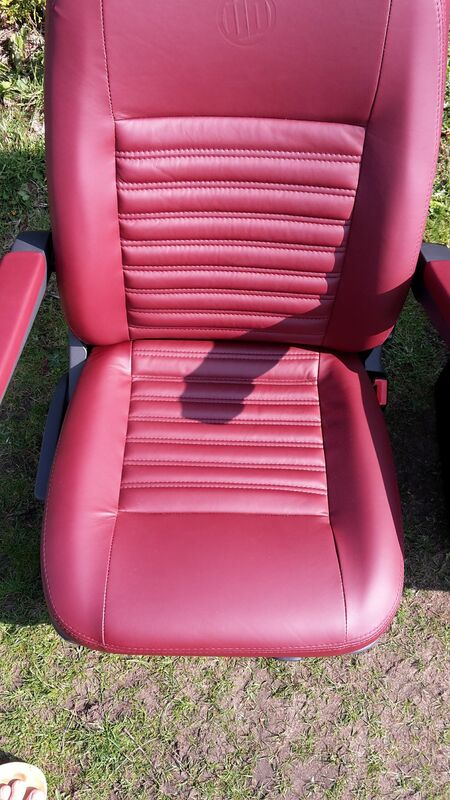 The front Captains seat and double bench have horizontal stitching to the centre panel . 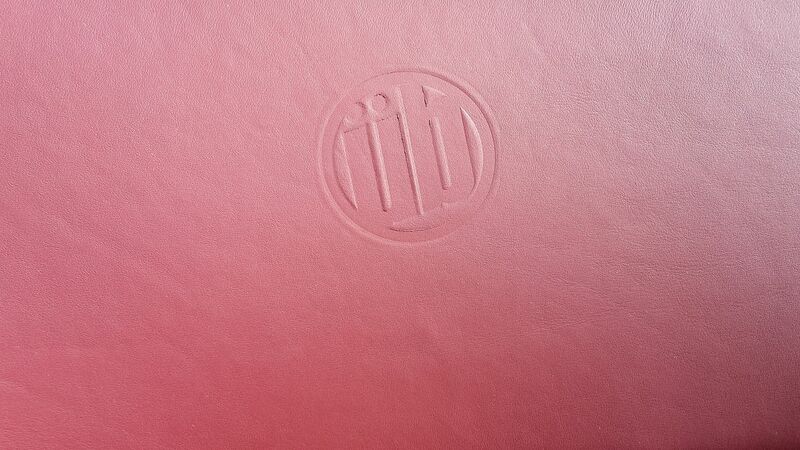 The leather has the Uber Bus logo impressed into it.